Are you looking for an SUV with room for everyone? Dodge has the perfect one for you! The 2018 Journey SUV is a really great option as it is the only crossover in its segment that comes equipped with seating for seven as the standard option! There are loads of features from the inside to the outside of the SUV, engine options and the choice of front wheel or all wheel drive so creating the perfect Journey for you and your family is super easy! Read on to learn more about this great SUV! What kind of trim levels and standard features does a 2018 Dodge Journey offer? Dodge offers the Journey in four models for 2018, the base SE, SXT, the Crossroad and the top of the line GT model! Dodge created every Journey model with their trademark "split crosshair" grille on the front fascia and created with clean, aggressive and sculpted lines that gives the Journey an athletic and muscular stance! The exterior of the GT and Crossroad models also feature 19-inch aluminum wheels and Dodge's "Ring of Fire" LED tail lamps! The base SE model is perfect for those looking for a lower price tag! It comes with a ton of standard features such as a six-speaker sound system, keyless entry and ignition, 17-inch wheels, dual-zone climate control, and even a 4.3-inch touchscreen! The seven-passenger seat configuration also offers a ton of great features like a driver's seat with height adjustment, and second-row seats come with built-in booster seats, the third-row seats have 60/40 split and can slide and recline to better accommodate taller passengers! The GT model is the perfect model if you are looking for the best-equipped Journey! The GT model standard features build on the other models with a remote start, a heated steering wheel as well as heated front seats, leather upholstery and even a premium sound system! You can keep the passengers in the back entertained with the optional Rear Seat Video Group I which adds an overhead console with a 9-inch screen to the SUV! Other optional features to continue the customization include navigation, voice command, smartphone connectivity and you can even get gas prices from the stations around you for the best bang for your buck! Just like there's room for a ton of passengers there is room for a ton of cargo! With the third and second rows folded down, the total cargo space is 67.7 cubic feet! 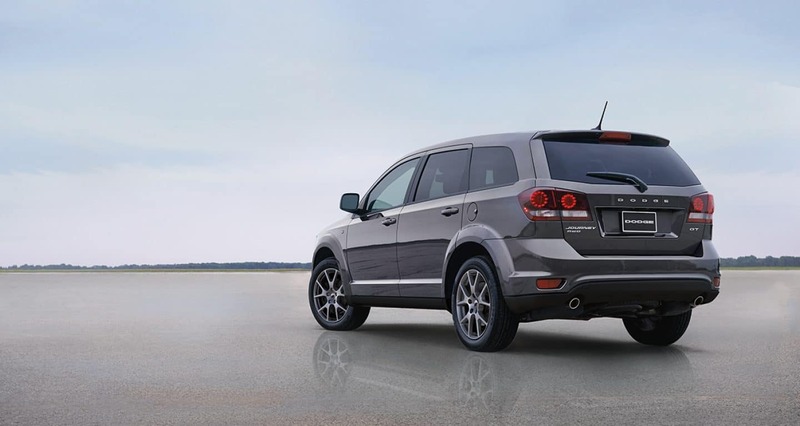 What kind of engine options does a 2018 Dodge Journey offer? The Journey comes with a few different engine options for 2018. The standard engine underneath the engine's hood is a 2.4-liter 16 valve DOHC four-cylinder engine that produces 173 horsepower and 166 lb-ft of torque and is paired with a four-speed automatic transmission. A 3.6-liter Pentastar V6 engine that outputs a 283 horsepower and 260 lb-ft of torque is available for the SXT and Crossroad models and is matched with a smooth shifting automatic six-speed transmission. This is the same engine that is underneath the hood of the GT model and all models equipped with all-wheel drive! The all-wheel-drive system available for the Journey works to enhance the fuel efficiency on demand by using front wheel drive until rear wheel drive is needed. The same all-wheel-drive system is utilized on paved roads that are dry to enhance the handling of the Journey while performance driving from 25 to 65 mph! 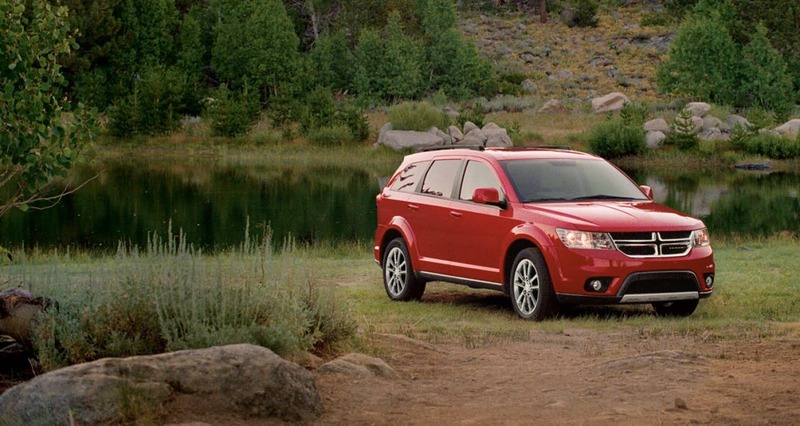 Are there any standard or optional safety features for the 2018 Dodge Journey? The Journey offers over 40 security and safety features for 2018! Standard safety features include multi-stage front passenger airbags, trailer sway control, electronic stability control with all speed traction control, brake assist and active head restraints! Additional safety features include LATCH anchors for child safety seats, electronic roll mitigation, side curtain airbags that extend the full length of the SUV and driver side knee airbags! The Dodge Journey is that perfect family SUV for 2018! There are tons of comfort and convenience features that truly customize the vehicle to your liking, technology that keeps all the passengers happy and LATCH child seat anchors and even built-in booster seats perfect for young families! Come into Reedman Toll Chrysler Dodge Jeep RAM of Jenkintown to see this SUV for yourself and take it for a spin!